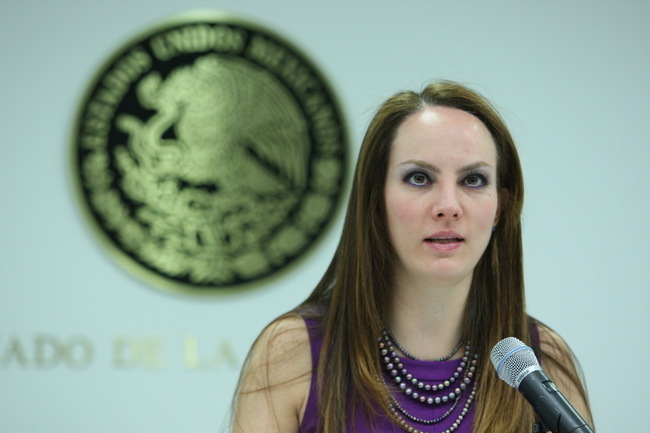 Gabriela Cuevas Barrón, chair of the Foreign Relations Committee of the Mexican Senate. Three top Mexican lawmakers have called on the country’s Attorney General to investigate disclosures about a secret, U.S.-only intelligence facility in Mexico City published last week by Migration Declassified in partnership with MVS Noticias. On Monday, Gabriela Cuevas Barrón, chair of the Senate Foreign Relations Committee, also issued a call to investigate the “Mexico Fusion Center.” Cuevas, from the PAN, said the intelligence facility described in the DOD memo was in violation of the 1963 Vienna Convention on Consular Relations. Carmen also discussed the importance of having access to declassified sources and explains how they help us understand and contextualize the material leaked through Snowden and WikiLeaks. Muchas gracias por esta información, la verdad que es bueno conseguir cosas asi, ahora mismo trataré de comenzar un trabajo que se relaciona bastante con esto.